I am currently trying to do a shield effect. I saw the multipass distortion exemple and I was wondering if it was possible to have the same effect but with the Surface shader type ? 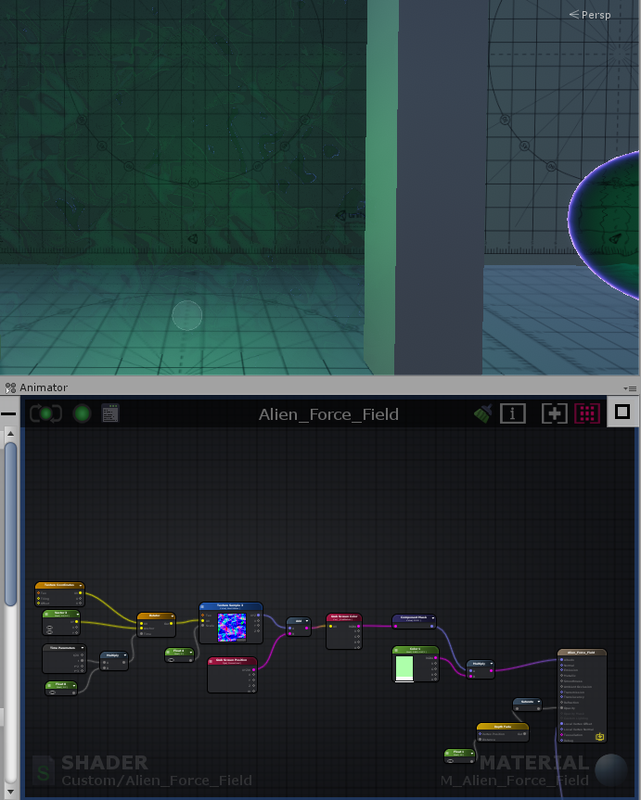 I've set the Surface Shader to Transparent, turning off Cast and Receive Shadows in the above example. You may also refer to our ForceShield sample as an example of an alternate setup and effect. Nevermind, I made a mistake, it works, thanks ! Last question, is it possible to add textures on top of that effect ? Yes, you could add additional texture sample nodes to this effect for additional textures.